The Institute for Research on Exoplanets (iREx), affiliated with the Department of Physics of the Université de Montréal (UdeM), is calling for applications from undergraduate students to the Trottier Excellence Grants for Summer Interns 2018. The summer internships last 4 months (May to August 2018). They constitute a unique opportunity for students at the undergraduate level to join iREx’s dynamic team and to get involved in cutting-edge research in astrophysics. Interns will be able to participate actively to breakthrough scientific programs related to exoplanets and related topics. The researchers who are available to supervise interns this summer are the professors Björn Benneke, Nicolas Cowan, René Doyon, David Lafrenière, and Jason Rowe, and the researchers Loïc Albert, Étienne Artigau, Julien Rameau and Lauren Weiss. Projects are available in various themes related to the detection and characterization of exoplanets, working with data obtained various space (K2, TESS, JWST) and ground-based (OMM, CFHT, Gemini, la Silla) observatories using various techniques (velocimetry, transit, transit and eclipse spectroscopy, direct imaging). Projects are also available on other astrophysical topics related to exoplanet science, such as the search for low-mass companions and isolated objects, the identification of young stars that are plausible exoplanet hosts, or the study of stellar activity that can hinder the detection of exoplanets. Finally, projects are available to work on the development of instruments for various observatories and on the conception of future space missions for astronomy. More details on the scientific programs of iREx are available on the institute’s website. All selected interns will have the possibility to participate to one or more observing missions at the Observatoire du Mont-Mégantic during the summer. Also, one intern will be offered the possibility to participate to a 6 to 8 weeks stay at the Canada-France-Hawaii Telescope, on Hawaii’s big Island, in the United States. The 3,000$ Trottier Excellence Grant for Summer interns can be combined with an NSERC Undergraduate Student Research Award (USRA) for a total amount of 7,500$. For non-bursary students, professors will complete iREx’s Trottier Excellence Grant to provide a total amount of 6,000$. The internship will take place at Université de Montréal (Professors Björn Benneke, René Doyon, David Lafrenière and researchers Loïc Albert, Étienne Artigau, Julien Rameau and Lauren Weiss), McGill University (professor Nicolas Cowan) or Bishop’s University (professor Jason Rowe). Five (5) Trottier Excellence Grants for Summer interns will be attributed in 2018. All students currently enrolled in an undergraduate program in physics or astrophysics in a Canadian university are eligible to apply. Interested candidates should fill this online form, uploading therein their application file, including a short statement of interest (max 1 page) in which they explain their motivation to obtain the internship as well as their research interests, a curriculum vitae, and their most recent academic transcripts*, before November 15th, 2017. The successful candidates will be contacted before the end of the Fall semester (before the Holidays). 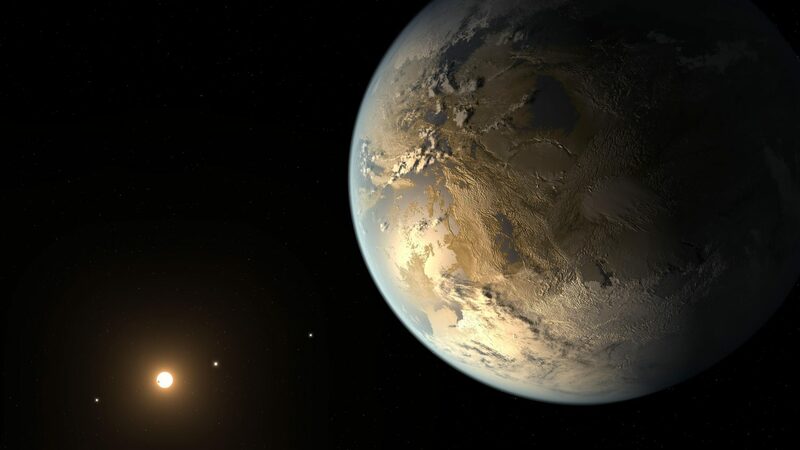 The institute for Research on Exoplanets (iREx) brings together more than 40 researchers (professors, postdocs and students) that have a leadership role in various international projects (notably the James Webb Space Telescope) and are engaged in a variety of observational, theoretical and instrumental projects. You can learn more about internships at iREx through the interviews we did with the 7 students who joined us in 2017.
iREx promotes diversity in its workforce through its Equal access to employment program. It encourages members of visible and ethnic minorities as well as women, Aboriginal people, persons with disabilities and people of all sexual orientations and gender identities to apply. For more information on iREx, you can contact Marie-Eve Naud, the scientific and EPO coordinator, at naud@astro.umontreal.ca. *Note about transcripts: if you are currently in your first university semester, please include your cegep (or grade 12, if outside Quebec) transcript, on which your Cote R (or global average) is indicated. We prefer official transcripts, but non official are also accepted.